The Children’s ECMO Center provides lifesaving cardiac and respiratory support to patients whose heart and lungs cannot work on their own. Children’s has one of the few pediatric ECMO centers in the Southeast. ECMO stands for extracorporeal membrane oxygenation, a procedure in which a machine outside of the body takes over the work of your child’s heart and/or lungs to allow them to rest and heal. The machine is connected to the patient’s body by a catheter (tube) inserted during surgery through the arteries and veins of the neck area in infants, or the groin in children, or the chest (following cardiac surgery). Your child will be given medications during surgery to prevent pain and movement. Your child will also have a breathing tube inserted through his nose or mouth that is connected to a ventilator, which is needed to prevent his lungs from collapsing while they heal. Neonatal ECMO: Based in the Neonatal Intensive Care Unit, this team provides life support to newborns for whom other therapies have failed. Pediatric respiratory ECMO: This team treats children 28 days of age to 18 years old who are suffering from acute respiratory failure. Cardiac ECMO: This team treats patients whose hearts cannot pump enough blood to keep them alive, either before heart surgery or after bypass surgery. Continuous renal replacement therapy: This team treats patients who are experiencing severe renal (kidney) failure because their bodies are not removing urine and other waste products correctly. Research: Children’s performs ongoing research to improve the quality of care delivered to patients requiring ECMO, and ultimately to reduce the need for ECMO. At Children’s, we have one of the few pediatric ECMO Centers in the Southeast. We’ve been recognized as an ECMO Center of Excellence by the Extracorporeal Life Support Organization (ELSO)—the world’s premier ECMO organization—since 2007. 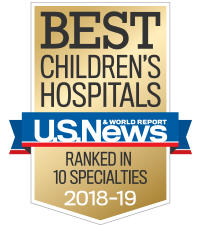 This award is only for select centers that provide the highest quality ECMO care, as evidenced with large numbers of children receiving ECMO (more than 1,100 patients since 1991), extensive training programs, constant review, and use of teamwork to produce excellent outcomes. At Children’s, our multidisciplinary team of pediatric ECMO specialists, cardiac intensive care physicians, nurses and specially trained respiratory therapists provide customized ECMO care for every patient they treat. Additionally, ongoing research projects help our team to continuously provide the best possible care to our critically ill patients. Having a child who is critically ill and requires ECMO support can be overwhelming. The following FAQ is intended to help you better understand what to expect from ECMO procedures. If you have any further questions or concerns, don’t hesitate to discuss them with your child’s ECMO team at Children’s. We’re here to help. How does the ECMO machine work? The ECMO machine is made up of several parts: a pump, an artificial lung, a blood warmer and an arterial filter. The ECMO machine takes the blue blood (without oxygen) out of the right side of the heart and pumps it through the artificial lung (oxygenator). The blood is now red blood (with oxygen). This blood is warmed and filtered before it is returned to your child. What is the parents’ role in ECMO? Parents and family members are encouraged to visit their child while he is on the ECMO machine. Although your child cannot be held by you while he on ECMO, it is important that he knows you are there. Even the simplest forms of interaction are important to your child, such as talking to him, singing him a lullaby, or holding his hand, whether he is awake or asleep. For moms who are breast feeding, we encourage you to pump your breasts and save the milk by freezing it for use after your child is off ECMO. Your nurse can give you more information on this. Your social worker may be able to help you locate an electric breast pump for rental and arrange a referral to a lactation counselor. How will my child be taken off ECMO? When your child’s body no longer needs the heart and/or lung machine, a surgeon will remove the tube that connects it to your child’s body. A ventilator–which is less intensive than EMCO–will be used to give support to your child’s heart and lungs after the ECMO support is removed. As your child’s lungs heal and the oxygen level in the blood gets better and better, the ventilator use will decrease until finally no extra oxygen is needed at all. When will my child be able to come home? To go home your child needs to be medically stable and gaining weight on regular feedings. Many babies have difficulty swallowing after ECMO. If your child has these difficulties and is unable to take enough food, a tiny plastic tube will be placed through your child’s nose or mouth into the stomach. Nurses and occupational therapists will help you learn the correct way to feed your child through the tube. Keep in mind that the feeding problems will probably go away with time and patience. Although it may be frightening to take your child home from the hospital, this is a positive step. Feelings of anxiety, loneliness and uncertainty are normal. A period of adjustment is normal. Be patient with yourself and your child. What is the ECMO Follow-Up Clinic? In addition to your routine pediatric care we highly recommend that your child be seen in the Emory Developmental Continuity Program for follow-up care. This program identifies any special needs that your child may have, helps you understand your child’s growth and development, and helps you find any services your child may need. All babies are offered this program. Older children are followed by their pediatricians who monitor them for medical, developmental, visual, speech and hearing needs. In addition to this, we’ll want to see your child at the ECMO Center three and six months after discharge and again at one year and every year afterwards. Extra visits may be scheduled depending on your child’s needs. We’ll give your child a physical and neurodevelopmental exam at every visit.